El Cielito Inn good value for money, surely you know that! El Cielito Inn are you on a budget? El Cielito Inn sits on one of Baguio's scenic hilltops with breathtaking views that are just a glance away from your bedroom window. Strategically located on North Drive, a five-minute walk takes you to the Convention Centre or to downtown Session Road, the main happening road in Baguio. You can enjoy Baguio's famous vacation spots like Burnham Park and Camp John Hay, or pick up some silver and wooden souvenirs at the nearby public market which boasts of being the cleanest in the country. The El Cielito Inn has a nice country like atmosphere, very quaint. It is off the main street, but enchanting views and exciting finds are just a short walk away from this hotel. Baguio City in the Philippines is the top tourist spot in the northern part of the country. It boasts breathtaking hilltop scenery decorated with pine trees and refreshing mountain breezes. El Cielito Hotel has that homey, rustic feel which is perfect for experiencing the best of the City of Pines. The hotel’s spacious standard, deluxe, and superior rooms epitomize quality and practicality, meeting the needs of every guest, whether they are in Baguio for business or leisure. What are the rooms like in the El Cielito Inn? All 33 well-appointed rooms are available with private bathrooms with hot and cold showers, NDD/IDD telephone access, 72-channel cable TV, internet connection and uninterrupted power supply. You can get an idea of how much accommodation will cost you here. The rooms although equipped with basic amenities and toiletries are kept very clean by efficient cleaning staff, however there is no bath in the bathroom. Nor was there a good supply of hot water for showering. The walls appear to be a bit on the thin side and are not sound-proof, you can hear what people are talking about in the room next door, you can even hear there TV. The hotel staff are very efficient and friendly, they are always polite and are a good knowledge fof information about the area, feel free to ask them questions. Hotel security is typical for the Philippines, the guards are posted on every key entrance to the premises. Nature’s freshest harvest is ready for the taking at The Voyager, El Cielito Inn’s full-service restaurant, from hearty snacks to sumptuous dinners. Here, food is quite good and you can eat to your heart’s content, breakfast is normally included in the price of the room. The complimentary breakfast was very acceptable, however there are only about five to six types of breakfast dishes to choose from, not a lot of choice if you’re planning to stay a week, if you aren't staying a week then it is not a problem. El Cielito Inn offers a 95-person multi-purpose room, which can be divided into smaller conference rooms for functions like weddings, business meetings, seminars, small conferences seminars, and other events. The rooms are spacious yet cosy, warm and inviting. Included in the package is all food and beverage, a white board and marker, flipcharts, podiums with karaoke and microphone (cannot go without the karaoke in the Philippines!) and overhead screen, notebooks and pencils. Is the El Cielito worth the money? I can recommend this three-star hotel, if you are looking for something affordable, yet easily accessible to the pine city’s best tourist spots without sacrificing quality service. 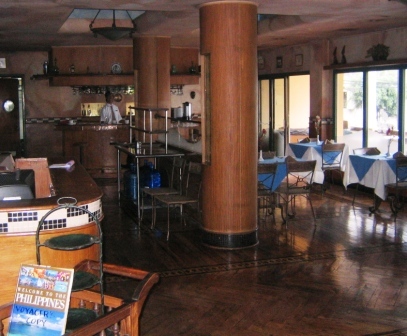 It’s no surprise the smart, budget-conscious Baguio visitors always return to El Cielito Inn. Don't just take my word for it click here and see how much accommodation will cost you. There are more Baguio hotel reviews here. 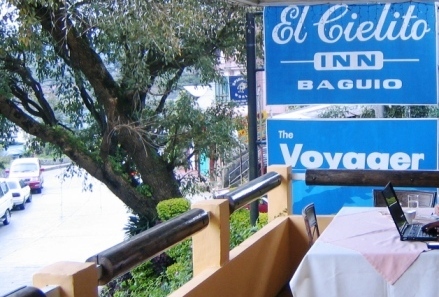 Have YOU stayed at the El Cielito Inn Baguio? Share your tip or review on the El Cielito Inn Baguio with everyone! Help other Baguio travelers and share your opinion about it!